Renovations are exciting, but they’re also stressful. Between finalizing plans, managing tradespeople, finding funds, and tripping over various items in the middle of the night, renovating a home is typically one of the most hectic scenarios in the average homeowner’s life, because there are just so many components to think about. It doesn’t help that the renovation industry is huge, confusing and fragmented either. This is where Refresh Renovations comes in. 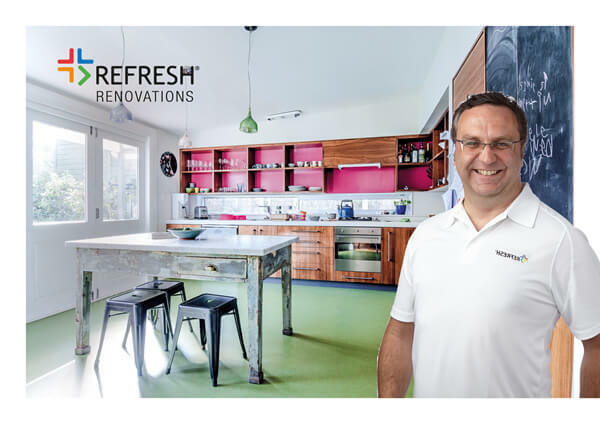 When a homeowner decides to update their home if they engage with Refresh, they don’t have to navigate the confusing rigmarole of the renovation industry. 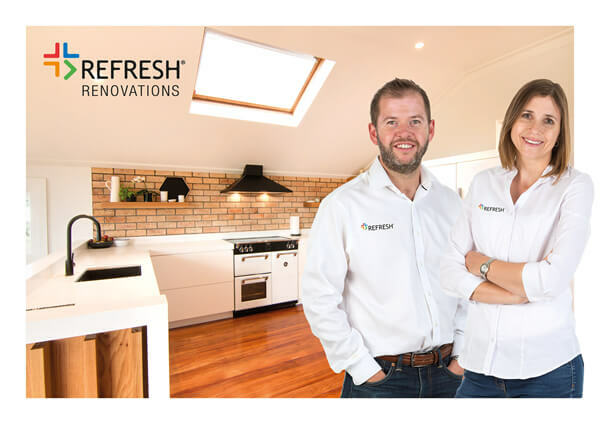 They sit down with a Refresh Renovation Specialist to discuss their ideas, their budget and their dreams, then Refresh makes it happen. While we’re a renovation company, our value proposition isn’t so much about the house, as it is about the process and customer experience. 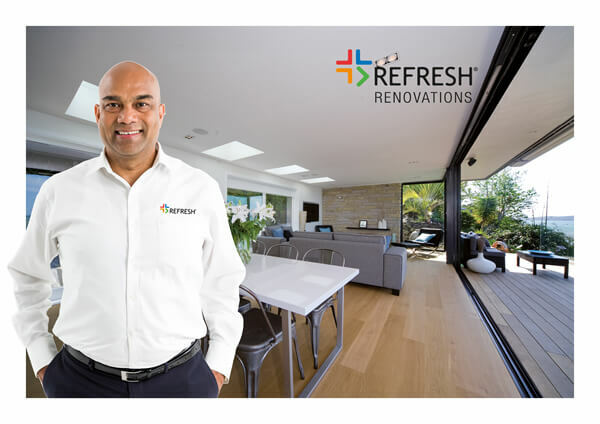 Every Refresh franchise owner offers a standardized experience, which eliminates the stress and complexity of home renovations, while giving homeowners peace of mind, certainty around budget, and the realization of their dreams. Our renovation specialists communicate with everyone involved in the renovation process so the homeowner doesn’t have to, because we understand what is required for each part of the process, when in most cases the homeowner doesn’t know where to start. What Do You Get With Our Franchise? It’s important that the ‘fit’ is right for both of us. 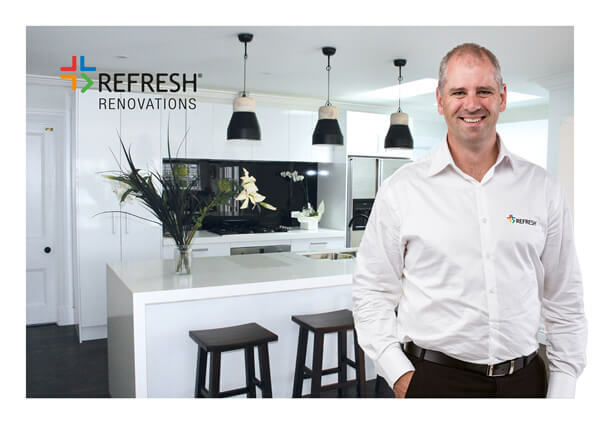 You’ll want to know exactly what Refresh can offer you, and that you will be supported in operating a successful business. 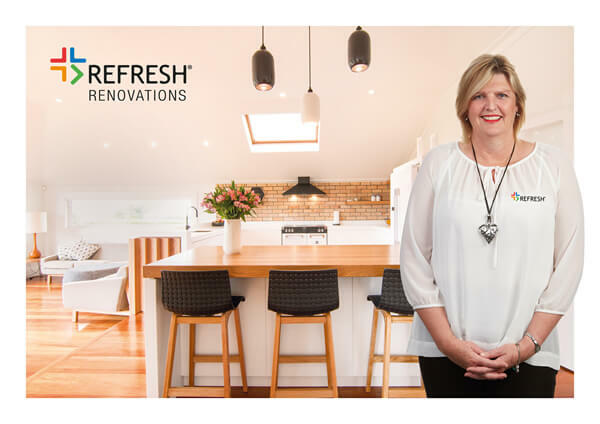 Similarly, we want to ensure that new franchise owners have what it takes to succeed – and will add value to our Refresh Renovation brand. So, are you the right fit? As mentioned above, it’s important that the fit is right for both of us. That’s why, before inviting new franchise owners to come on board, we have a structured process that we follow. This includes scheduled sessions where we talk through our mutual expectations, and explain in more detail the skills and attributes needed to run a successful franchise. We look forward to embarking on this next step of the journey with you! (i) this document and its content does not constitute any kind of offer to award a franchise by Renovation Franchise North America, LLC (“Franchisor”) or its affiliates; and (ii) Franchisor only offers and awards such franchises to qualified parties via its then-current Franchise Disclosure Document (“FDD”) within those states where Franchisor can compliantly conduct such business. In certain states, Franchisor may and will not offer you a franchise or disclosure you with any FDD unless and until it has an effective pre-sale registration, exemption or notice filing as required by that state’s pre-sale franchise regulations. An offer to buy a franchise is made by the FDD only and is only available to qualified candidates that are issued an FDD by Paul English or an approved representative, c/o Renovation Franchise North America, LLC, 415 S. Florida Blanca St., Pensacola, Florida 32502. Certain states and foreign countries have additional laws governing the offer and sale of franchises. If you are a resident of one of these states or foreign countries, Franchisor will not offer you a franchise unless and until it has complied with all legal requirements in that jurisdiction. Please consult with your franchise seller/broker for an updated list of jurisdictions where franchises can be sold. ©2019 Renovation Franchise North America, LLC. All rights reserved. 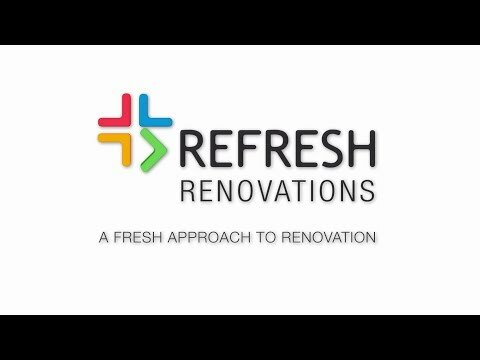 Refresh Renovations is currently accepting inquiries from the following states: Alabama, Alaska, Arizona, Arkansas, Colorado, Connecticut, Delaware, Florida, Georgia, Idaho, Indiana, Iowa, Kansas, Kentucky, Louisiana, Maine, Massachusetts, Michigan, Mississippi, Missouri, Montana, Nevada, New Hampshire, New Jersey, New Mexico, North Carolina, Ohio, Oklahoma, Oregon, Pennsylvania, South Carolina, Tennessee, Texas, Utah, Vermont, West Virginia, Wyoming.